About — Betzen Trenching, Inc. Founded in 1980 and unsurpassed in the underground construction industry. 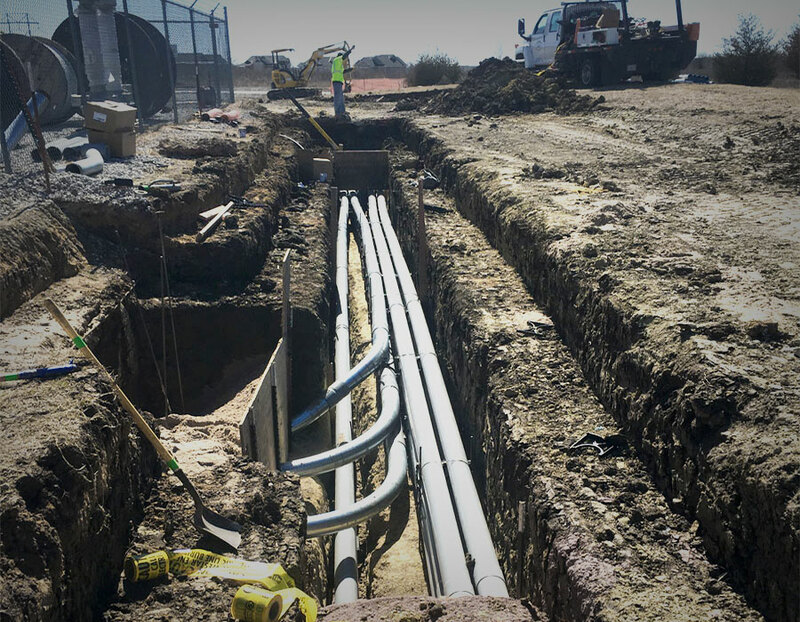 BTI is committed to providing the highest quality of work and stay on the leading edge with providing customers the latest technology in excavating and directional drilling. Every employee is treated like family and their voices are heard. In 2013, BTI was named among one of the Best Places to Work by the Wichita Business Journal. BTI provides years of experience and equipped to handle jobs from the smallest to the largest. Equipment ranges from a trencher/backhoe combination that will access through a gate as narrow as 36 inches wide to large trenchers, excavators, hydro-vac units and directional drilling machines. BTI takes safety seriously with office staff trained to work with Kansas One Call for all locates and staff available 24/7 in case of emergency. Offering OSHA approved monthly safety training (provided by IMA), fully insured and 100% DOT compliant.